Our church recently had a “week of prayer” and on one night they had child care to make it easier for the parents to come out and pray. We took advantage of this and came out as a family. I was in the prayer room a little early while my wife was downstairs getting our children settled away. When she came upstairs to the prayer room, I noticed she didn’t have her covering on. For those who don’t cover all day, it’s an easy mistake to make. So I quietly got up to let her know she had forgotten. She placed a hand on her head to confirm and said “oops”. We’re prepared for situations like this, and store a couple extra coverings in the glove box of our minivan, so she headed out to grab one. A few minutes later she came back to let me know, the back-up coverings were gone. I figured they were as the previous week we had forgotten as well. So on Sunday we used the back-up coverings in the glove box and forgot to replace them. So here we are, at church, about to spend some focused time to prayer and my wife doesn’t have her covering. What should we do? I’ve thought about this situation before, but this is the first time it wasn’t just hypothetical. There are two options 1) My wife sits in the foyer and doesn’t join us for prayer or 2) she comes in and joins us uncovered. The Scriptures do not say that God doesn’t hear the prayers of uncovered women. Nor does it say that He’ll be angry with them if they pray in this way. Rather, what the Scriptures do say is it’s dishonoring (1 Cor 11:4-6). It’s dishonoring because it visually communicates an incorrect view of biblical manhood and womanhood. We’re a family that takes that seriously and covering is a practice that my wife and girls do. They love it, and aim to practice it wherever it is called for. However, sometimes we’re put in a situation that’s beyond our control. I’d view this like promising your kids you’d take them to a sporting event, but not remembering until your plane has landed in another country for business. You wanted to take them, and you blew it by not preparing better (like failing to set a notification on your phone), but now the situation is out of your control and you have to make the best of it. To help guide us in making a decision, it’s important to remember that the principle or substance is more important than the symbol it points to. 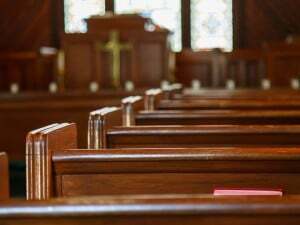 It’s more important to pray and to participate in your church, than to cover. Not don’t get me wrong, I’m not setting up a dichotomy here. Obviously we can do both at the same time, and we should. But in the rare and unfortunate situation where only one is possible, I think it’s more important to pray than to cover. So that’s what I told my wife to do, I said come on in and join us for prayer and she did. Now once my wife came in, the first thing I did was intercede on her behalf. I confessed my failure to God to prepare my family for this prayer meeting. I apologized and took responsibility for not having the back-up coverings in place and I asked God to forgive us for not praying in the way he prescribed. I also asked Him to help my wife to not be self-conscious and to enjoy her time of prayer with Him. The major takeaway for me in this situation, was about being prepared. If you cover all the time, this is not a problem for you. That’s one of the benefits of that practice. But for those of us like my family, who covers only in certain situations, being prepared is vital. 1) Back-up coverings: Keep extra coverings wherever you’ll have easy access to them if you forget. Some suggestions including your vehicle glove box, your purse, or leave one at a place you frequent (school, work, church). 2) Wear a neck scarf: Another option is to introduce scarves (like an Infinity Scarf) into your wardrobe. That way you can slip it over your head as your covering, or as a backup if you forgot your regular covering. 3) Reminders/notifications: One of the best ways to not forget is to add it to your task list, schedule, or to set a mobile reminder. For example you could add it to your list of things to lay out on Saturday night in preparation for the morning or you could set a reminder on your phone to alert you just before you leave for church to ensure you have it. So I hope that you’re never in the situation that we were in, and if you incorporate these tips into your life, it should help ensure that you aren’t. 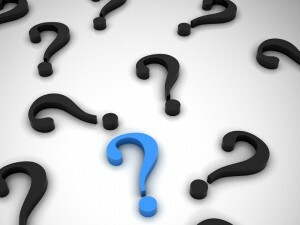 How did the other people react since you attend a non-covering church? I don’t understand why her hair can’t be her head covering as the verse indicates that having a head shaved is dishonoring, it doesn’t say that it’s required to cover one’s full head of hair, which is given to her as a covering. I think you said somewhere the difference was between a verb (to cover) and a noun (a covering) – but why can’t her hair (a noun) perform the function of covering (a verb)? Hi Cody, we don’t see an either/or here. Rather we see her hair as her natural glory and the veil as what is called for to cover her glory during worship. This video will explain more https://www.youtube.com/watch?v=XqzYQR2olF4 or for the fullest defense see chapter 8 in the Head Covering book. Just because the rule is “woman must wear a covering when praying and prophesying” it doesn’t follow that “women must not wear a covering when not praying and not prophesying”; just because something is for a specific time, it doesn’t follow that it’s banned or improper at all other times as well. I don’t know if Paul’s writing the rule in such a way that women don’t have to cover their heads outside of that specific time when they do. Do you think that Paul’s permitting such an interpretation? If I’m ever caught without one I pray with my hand spread over my head. It’s rare, but it happens. I keep my cover in my purse. I’m the only one in church who covers and I don’t think anyone would even notice if I didn’t, but I’m very self-conscious about it. Great article! I only cover during certain times, too. Here’s how I avoid the situation you mentioned: Before going to church on Sunday, when I’m still at home getting ready, I put my headcovering on. So, I have it on BEFORE leaving for church, instead of putting it on WHEN I get there, since I know that once we get to church (maybe even late) we’ll be in a rush to get the kids to their classes, etc. and I won’t have time at that point. When we are at church, I keep it on the WHOLE time we are there, even if we are not praying. It’s easier than taking it on and off. Then, when we do pray, I’m already ready. I don’t take my covering off until I get back home; or, if we go to the store or out to eat after church, I don’t take it off until I’m in the car. But, I almost never take it off while I’m still there. 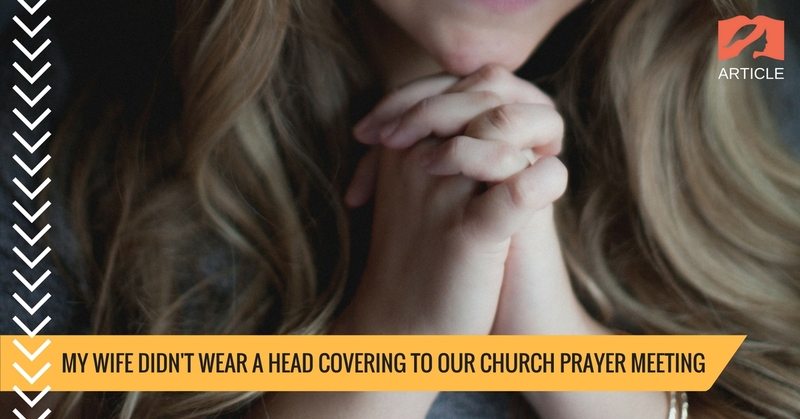 If we were ever to attend a Bible study or prayer meeting in the middle of the week, I would prepare the same way: put my covering on before we leave when I’m fixing my hair before heading out the door. I also keep a back-up covering in my purse, but I haven’t had to use it yet. You know, God can hear people in any circumstance, headcovering or no. I pity you and your wife that you stressed out over something God does not care about. Why are you trying to make women into the Other by forcing us to cover our heads to pray to God? Jesus didn’t live and die for headcoverings! 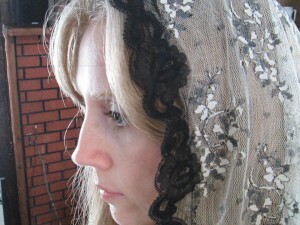 By the way, I’m acutely aware of the different interpretations of “head covering” that come out of 1 Corinthians 11. There’s the “put a cover on it” interpretation, the “you must not cut your hair” interpretation, the “it doesn’t apply to us today” interpretation, and finally, the “we’re not sure what Paul meant here so we’re not going to do it” interpretation. Hi Deana, I believe you’ve misjudged us. We’re not stressed about it and don’t elevate above it’s importance level. We care about all things God commands and take them all seriously. Sure some things are more important than others, but all things God commands for us need to be taken seriously. If it wasn’t important, He wouldn’t command it. So it’s more important to not murder someone, but that doesn’t mean a person shouldn’t take the command to dress modesty or to not forsake gathering together as a church as important as well. We don’t just care about the big things, we care about all things God says. This happened to me once. My husband works the sound board at church so we sit in the balcony, he turned to me and saw that I forgot my covering. He told me his mom put spare coverings in the cabinet in the ladies bathroom. So downstairs I went. The covering was obvious well used but hey at least I was covered! Interesting I find this forum/page as I’ve been recently participating in some home services in my area. The leader of the services has made it pretty clear that if not all commands/laws are not followed, one is not saved. The leader of the services is also putting huge emphasis on head coverings, by scheduling teas & tichels events, doing video blogs and calling out followers that are not covering. I’ve been praying and asking for guidance in this area as this practice is not something I’m familiar with. @disqus_XMjwzjjFUm:disqus , what you’ve described sounds very dangerous 🙁 It sounds like your leader doesn’t understand the gospel and is being domineering. Based on what you’ve said, I’d run from this church as it sounds very very unhealthy. The very last appendix in my head covering book talks about the importance of a local church and how to find a healthy one. If you don’t have it to reference, check out http://churches.thegospelcoalition.org and https://9marks.org/church-search/ to look for a church in your area. I’d worry about 9 Marks and Gospel Coalition churches being healthy churches, given any tree, there’s almost always a rotten apple that ends up in the bushel. Some such churches have a reputation for being authoritarian, after all, none of the 9 marks for a healthy church is love itself. Maybe that suspicion is what I get after reading about so many scandals from 9 Marks, TGC, Acts 29, Sovereign Grace – among others. Thank you Jeremy, I’ll check out the additional info you’ve shared. Ask him which Bible verse says that tea events are a must for women? You’ll find that there is none. Too often, people can take an idea and add unbiblical ideas onto it in order to make it match with what they think is proper. Thank you Cody for your kind words and references to scripture, these are very helpful. My paths keep crossing with the leader and I have to wonder at some point, I am to offer correction and guidance. I don’t see anything wrong with a leader of a group doing any of these things, anyone can be a jerk…what I see as wrong is staying and letting him! Get the heck out of there! Hi Jennifer, I have chosen not to participate. There have been several red flags in 2016 and I visited again recently and red flags were still there. Unfortunately I feel the handful that are following her idea of the bible are sadly being misled. Recently I have started making my head scarf a part of my daily attire. The best way would be to wear a scarf around my neck; but unfortunately I live in Florida where it is hot, and I don’t like the feeling of something around my neck all the time anyway. My solution is to tie a pretty cord around my waist and loop my scarf under the cord. When not in use it hangs next to my skirt and looks pretty, and when I need it, it is right there and only takes a second to pull it out and drape over my head. (You can get some pretty leather & silken cords by the yard at a fabric store) I do not believe I need to wear a head covering all the time (I explain why in my “All The Time?” section on my website for women only, http://www.HeadCoveringWoman.com) but I do believe I need to wear it whenever I pray, not just in the assembly, so having it right to hand is a very comfortable feeling. I think having a back-up scarf in the glove box as well is a super idea, though, and I am going to go put one in there right now! I was raised Catholic back before Vatican II. No woman was permitted to attend mass without a head covering of some sort. Sometimes a woman would forget. She usually had a clean handkerchief in her purse and would unfold it and lay it on her head, and secure it with a bobby pin if she had one. As a girl, many was the time I attended mass with a kleenex on my head, and not even a clean one at that. That’s how seriously it was taken. We were never told why, nor did we ask, which would have been seen as rebellion. It’s just what you did.